QuickBooks organises the data you need to keep your business financially healthy. It makes it easy to generate your income statement using the pre-installed income statement template. You can view your income statement and other financial reports anytime and from anywhere. The income statement, also known as the profit and loss statement, shows a business's revenue, expenses and profits (or losses) over a specific period of time. It's one of three key financial statements used to assess a company's financial health - the other two are the balance sheet and the cash flow statement. Banks, investors and vendors use the income statement to aid them in determining credit limits, whereas business owners use it to see exactly how much money they're making. QuickBooks organises all of your accounting data in one place, making it easy to create an accurate income statement. You can view your income statement, balance sheet, statement of cash flow and other critical financial reports anytime and from anywhere so you always know where your business stands with QuickBooks. With QuickBooks, it's easy to create the income statement when you need it. The five components of the income statement are sales or renvenue, cost of goods sold, gross profit, operating expenses and net income or loss. The pre-installed income statement template does the hard work for you, simply choose the profit and loss report, another name for the income statement, and QuickBooks populates the income statement template for you. It's fast and easy to view each item in the income statement in detail. Simply click on the amount that your want to know more about and QuickBooks shows you the supporting data. 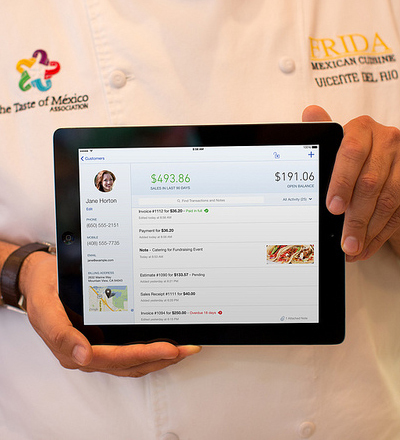 Choose QuickBooks Online Plus if you want to access more details about your revenues and expenses. With QuickBooks Online Plus you get access to additional reports such as the profit and loss detail report, profit and loss by class, and profit and loss by location.